DOUBLES: As part of their Hollywood Loves French Cinema series, the French Institute Alliance Française presents a night of Breathless. 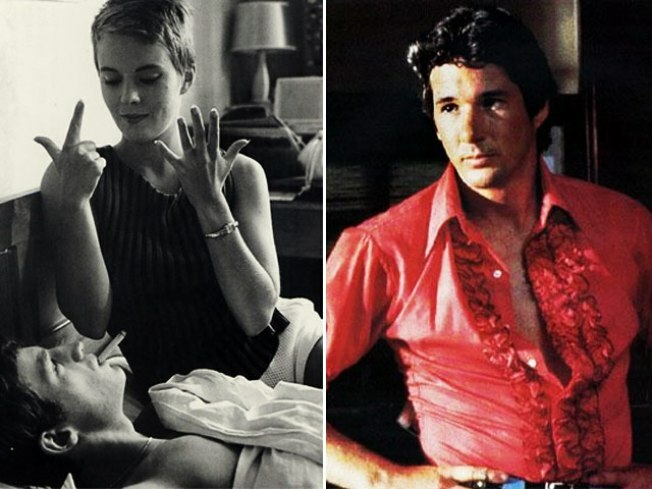 First up isJean-Luc Godard’s groundbreaking original (in a 50th anniversary restoration print), which effectively kicked off the Nouvelle Vague and, via Jean Seberg’s coif, did more for pixie haircuts than even “Rosemary’s Baby.” It’s followed by Jim McBride's 1983 remake, featuring a beefcakey Richard Gere stepping into Jean-Paul Belmondo’s loafers, and L.A. subbing for Paris, with jittery, oddly satisfying results. 7PM. PUNCHY: Punchline, the online magazine of comedy, is blowing out five candles—a major achievement in the ephemeral world of web publishing. In celebration, they’re throwing a party bringing together a veritable who’s who of edgy comedy on one bill, from Michael Ian Black to Hannibal Buress to Todd Barry. Punchline’s 5th Anniversary Show is at Comix, 8PM. SECOND HELPINGS: Former NY Times restaurant critic William Grimes returns by popular demand to the Tenement Museum, where he’s conducted talks about his excellent, utterly riveting chronicle of NYC’s dining-scene history, Appetite City, to raves. He’ll discuss the current eatscape, but no doubt regale with some of the hundreds of anecdotes from the book (like did you know there used to be a restaurant where you dined on horseback?). 6:30PM.